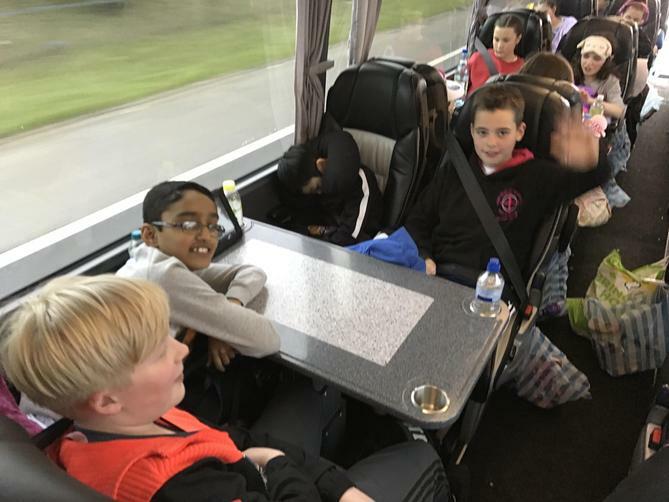 After a rather early start, with very sprightly children, we set off. 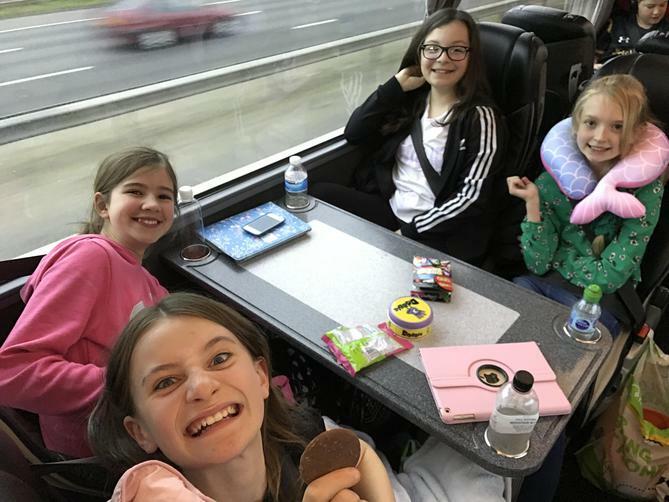 We travelled down to Milton Keynes where we swapped drivers and enjoyed our first service station visit. Pupils very graciously refrained from eating sweets until the sun came up! 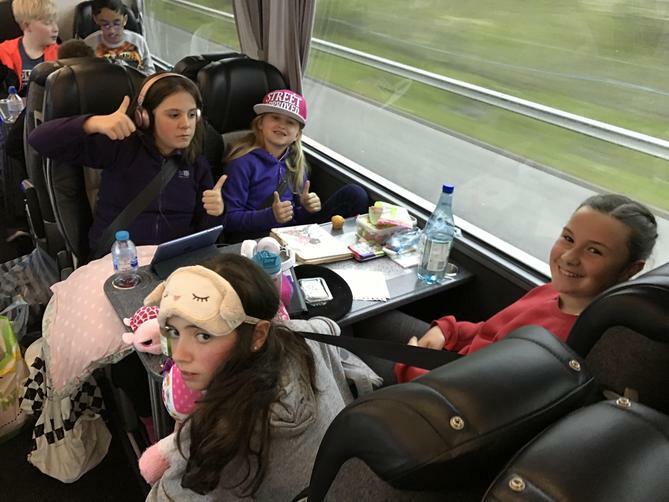 We made excellent time and arrived in Folkestone at 11am for our 12.20pm crossing. 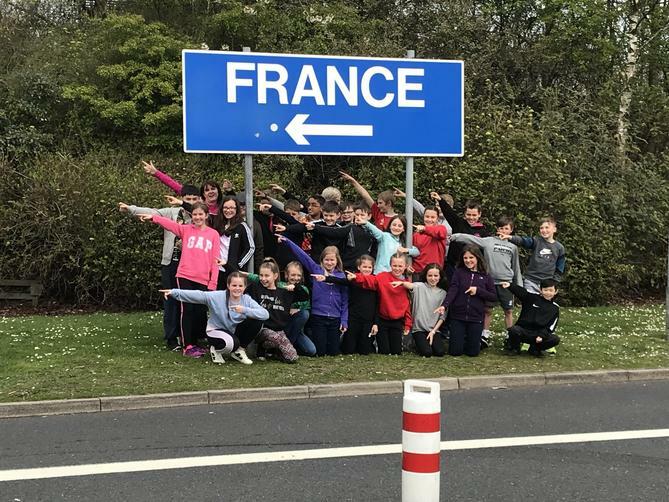 Pupils were very excited about the shuttle. 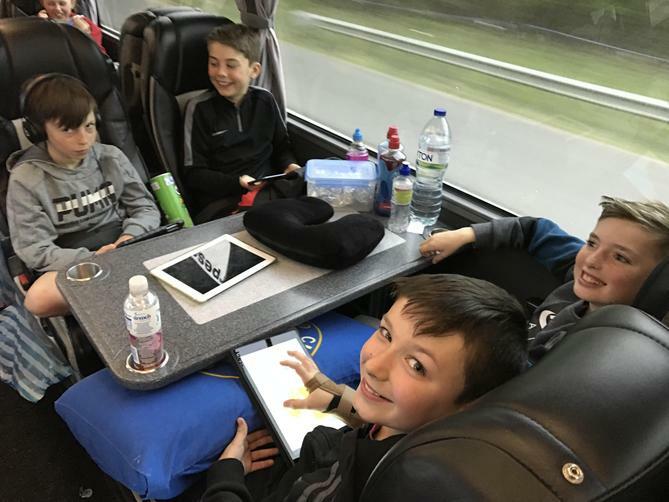 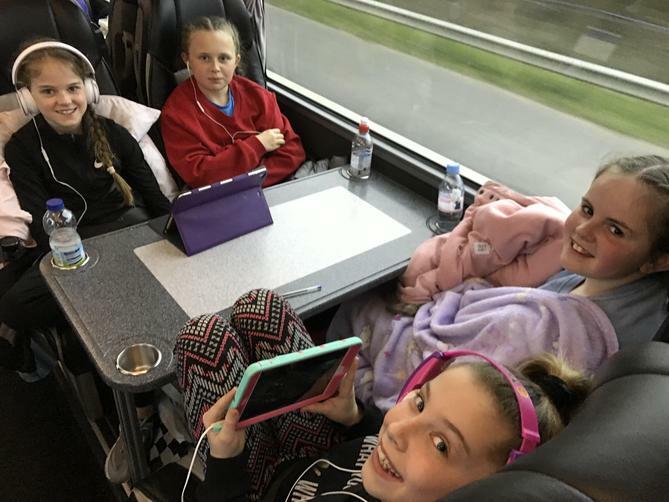 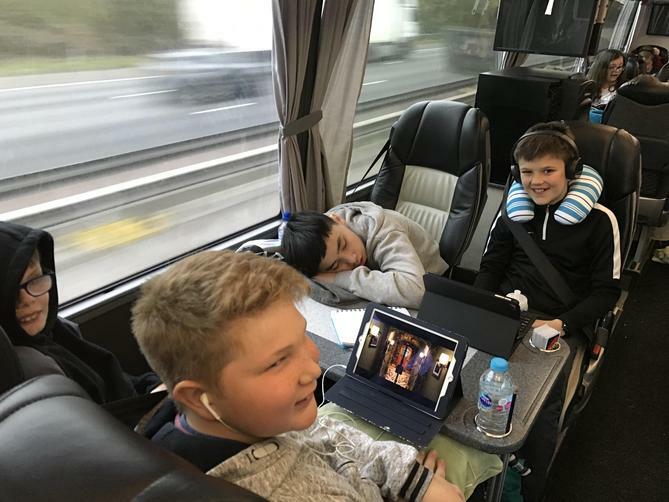 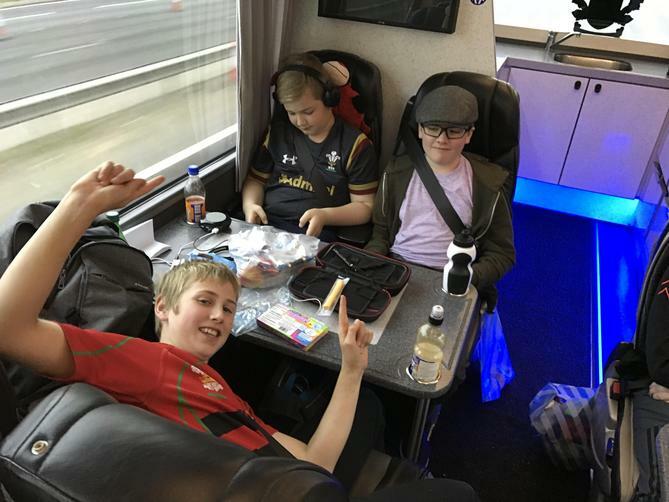 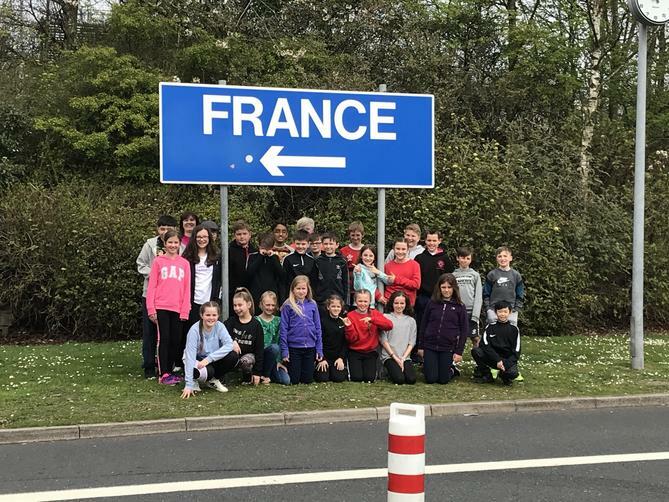 It was great to hear a complete stranger stop the teachers to tell them how well behaved they were and how polite they all were- great start to the trip. 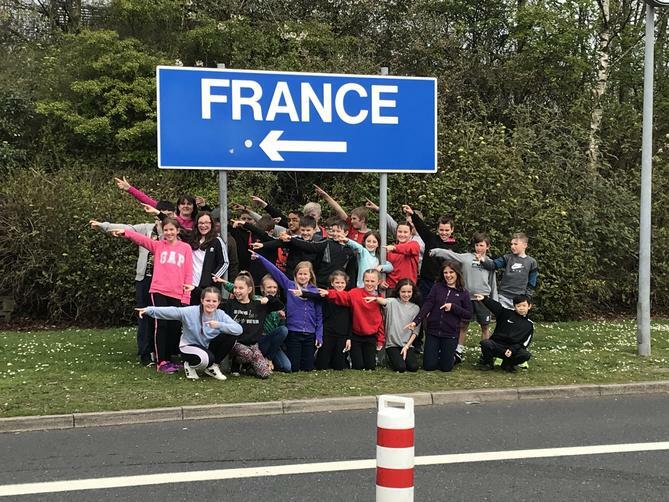 We couldn’t believe how quick the shuttle was, before we knew it we were on the continent! 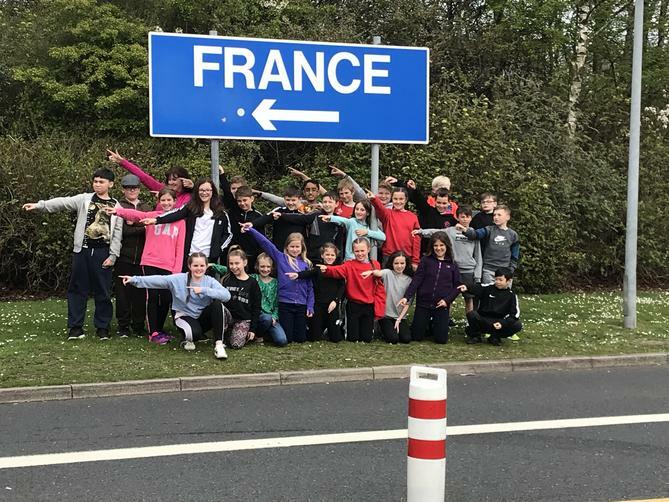 It was fantastic to see the excitement on the faces of the children who had never been abroad before...other than visiting England of course. 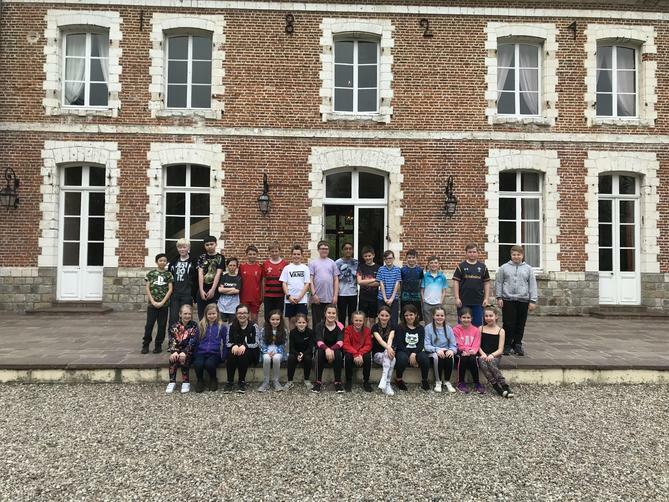 We were heading for the Chateau...the pupils were gob-smacked when they saw the building. 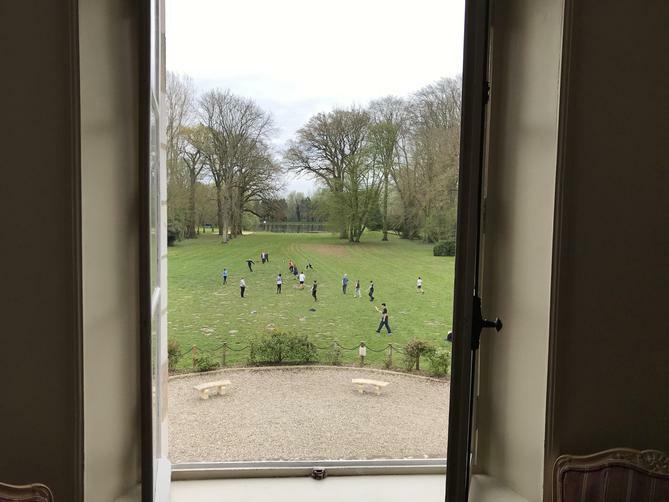 Stunning grounds and stunning scenery. 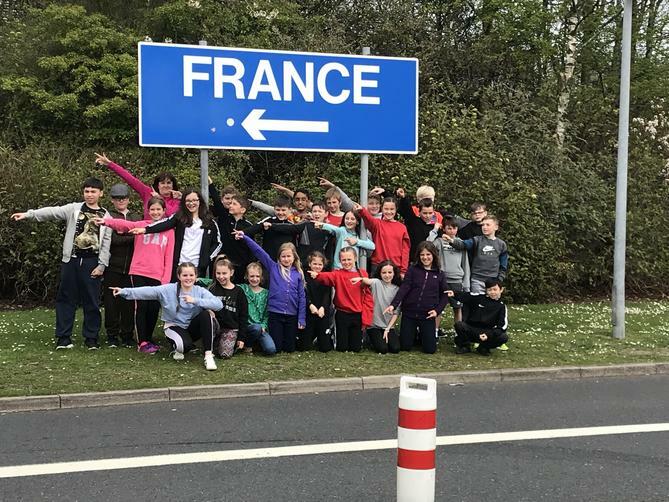 Pupils arrived at around 3pm (French time). They were greeted by the Chateau staff and given a guided tour of the grounds. 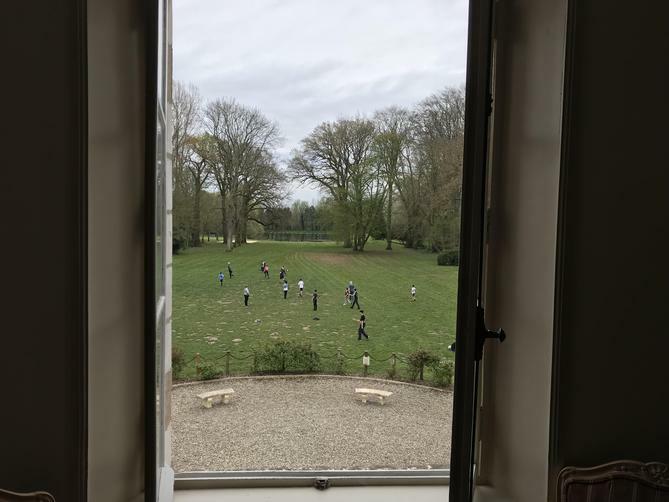 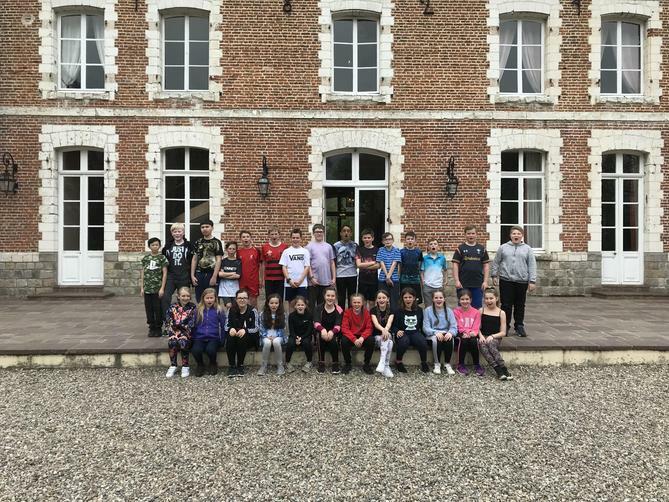 After being taken to their rooms (in the main building of the Chateau) pupils played games with the activity leaders. 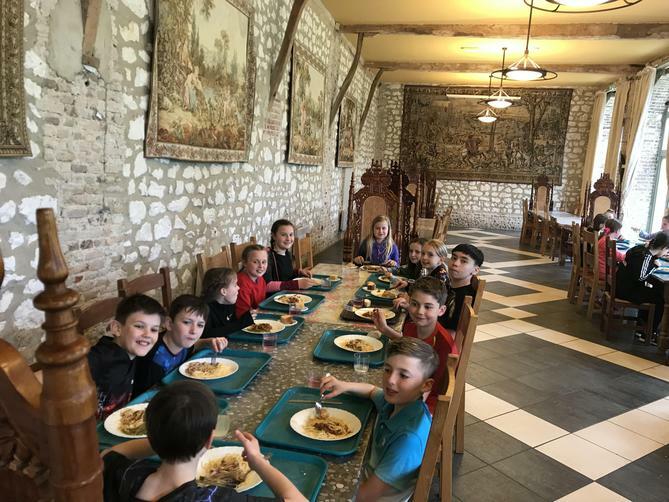 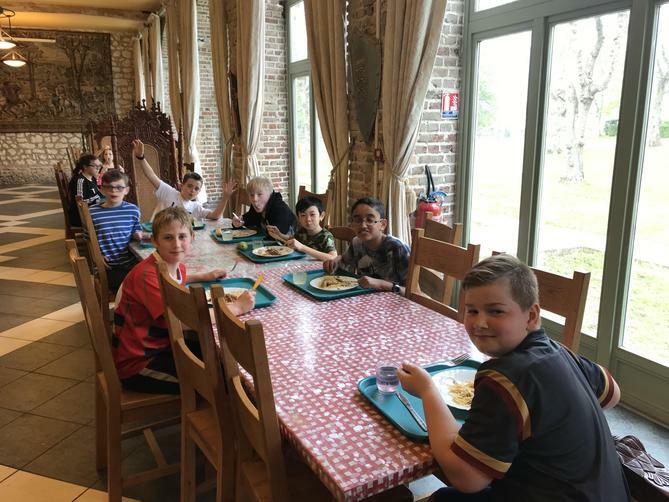 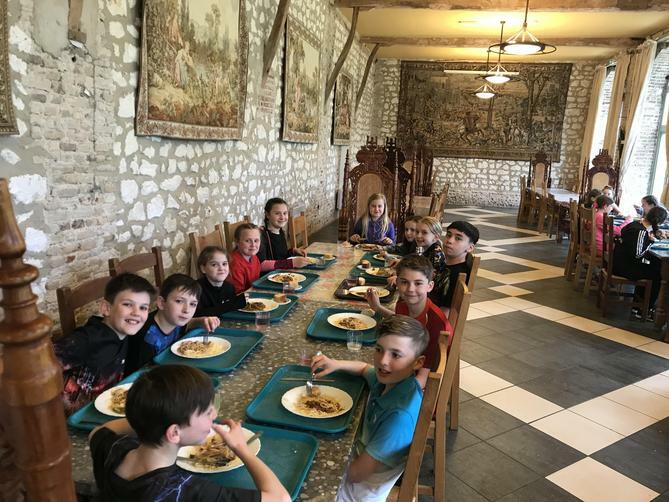 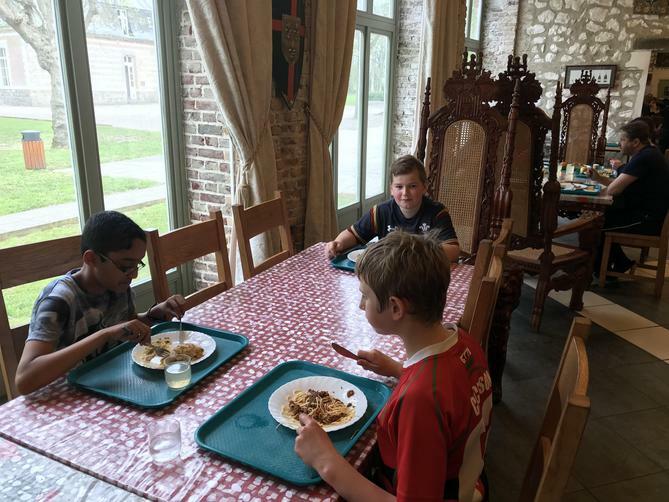 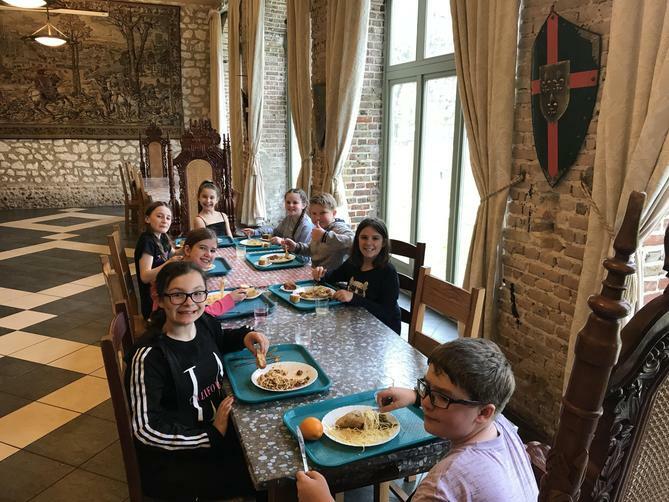 After a few pics pupils enjoyed their meals in the main hall- all had clean plates!!!! 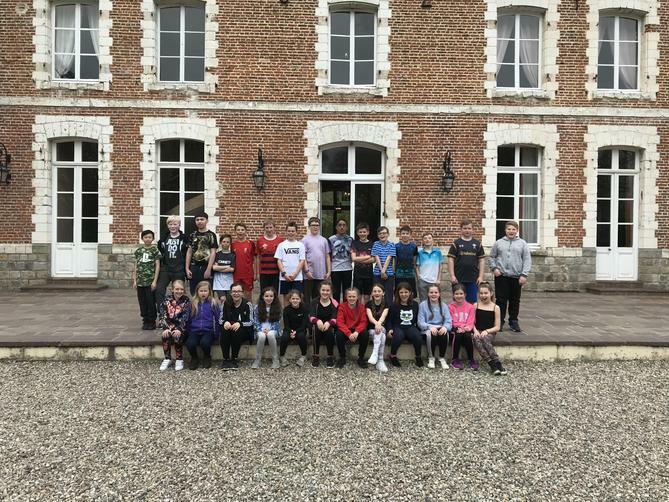 Pupils are now getting ready for their first nights activity- the Chateau Quiz.